The Score is one of our most awaited releases for performance surf in medium waves. The story starts when we asked our team riders and some friends to test a small to medium size wave performance shortboard with a slightly wider outline, low/mid rail and a rounded tail. The plan was to find a better, faster, responsive board for great projection, rail-to-rail, lip tricks and pocket turns for waist to head-high good surf. After a while, the test driving boards were not coming back from our team riders, since they realized these boards were allow- ing them to guarantee the much needed scores in heats when the waves were weaker. And that's when we knew we scored! Featuring a smooth single con- cave and a thinner tail for better release, this board will push you to score great waves and better moves. Comes standard with a round tail, but squash and swallow are also available. 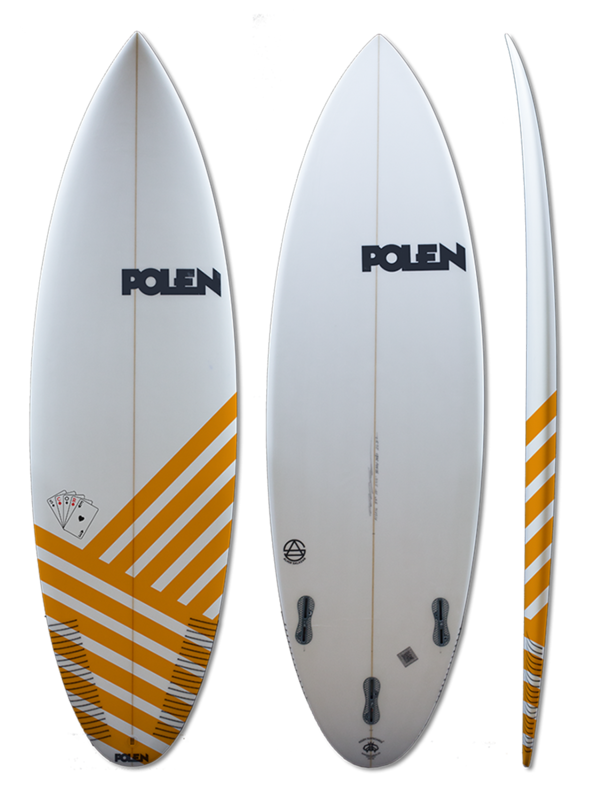 Ride it as a thruster, slightly wider, and you can go shorter 2" than your everyday shortboard. Let's get you to Score more.